This home defines Lowcountry charm! 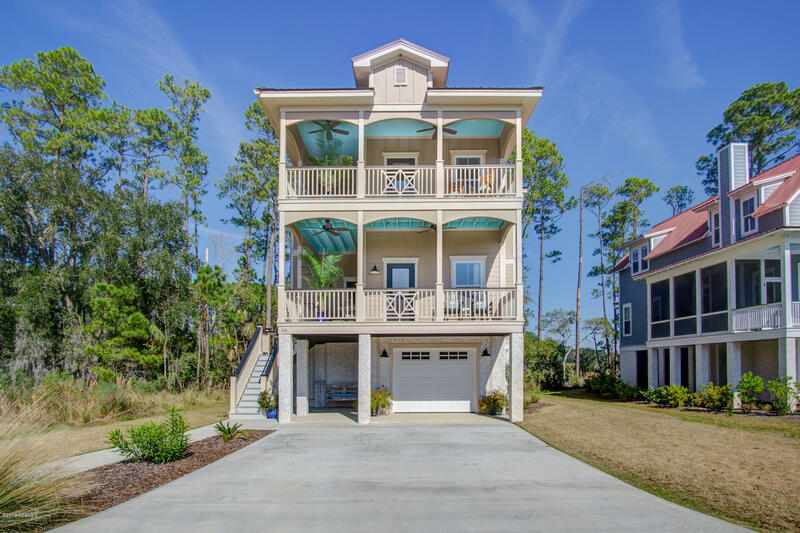 Tall ceilings, open and airy, marsh views from every window and balcony, it doesn't get any better than this. The home boast 4 spacious bedrooms, 3 upgraded baths with large tiled showers, ample vanity space and tons of storage! The kitchen flows into the homes dining and living area offering an open floor plan. The upgraded stainless steel appliance package, large sink and separate pantry make this kitchen a cooks dream! Bamboo floors throughout and built ins top off this custom home and make it a must see! Minutes from downtown Beaufort and Port Royal, you can't beat the location! If you are looking for additional space, the bonus room located behind the garage on the main floor is perfect for a billiards room, craft area and more!